Sam Yeoward is pleased to announce the release of his much-anticipated debut solo single on April 25th. Sam Yeoward is best known as one third of X Factor NZ group ‘TYP’. 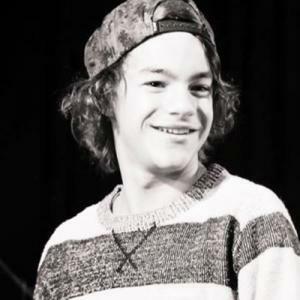 Rotorua-based Sam started out singing and playing guitar while attending school. He entered the X Factor New Zealand auditions in 2013 as a solo singer but was quickly put into a boy band by the judges with two other fellow contestants to form ‘TYP’. Although TYP didn’t continue past the Judges Houses, Sam decided he wanted a future in the music industry. Sam says "I realised quickly that I wanted to follow my dreams as a musician after X Factor and this lead me to the recording of ‘Wont Let You Down’."